Bureaucrats issue advisories such as–don’t leave an unlocked car with your valuables in plain sight. Let’s face it; it’s the sort of advice where, if you don’t already know it, you’re not smart enough to read the advisory anyway. Officials tell us the obvious but what about the classified information they withhold? We all know government secrecy is rampant and I’m just talking about the Canadian government. I have it on good authority from certain well-placed American sources the US government is even worse. 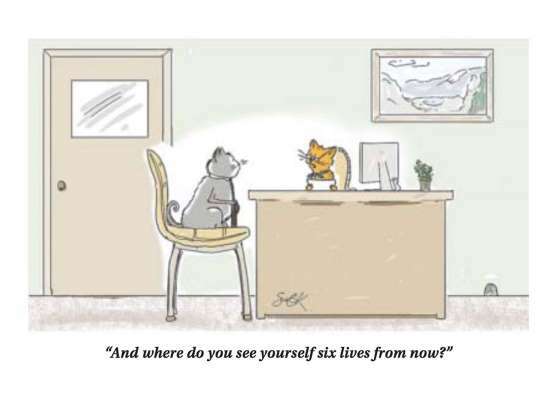 By the way–if you don’t own a cat–stop right here and save yourself some reading time. So–are you curious about what will kill your cat? Visualise one of those Spot-the-Difference puzzles where you’re shown two nearly identical pictures and you’re asked to identify the differences. These are un-retouched movie posters–well, un-retouched except for the fact the name of a certain actor has been blacked out. Can you spot the differences? No points for saying one’s in Spanish and the other’s in English–Okay, if your command of Spanish is poor, I’ll save you the suspense. Cats in Mexico only have seven lives! If you don’t believe me ask any Mexican. They’ll confirm cats in Mexico have seven lives, not nine! You don’t need to take my word for it; the proof is right in front of you–that’s an actual Mexican movie poster. 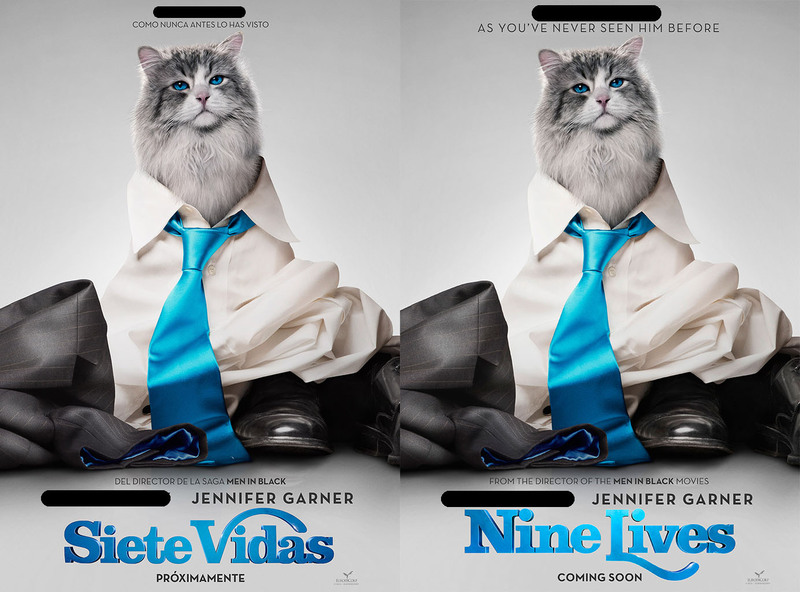 The Mexican movie title translates into “Seven Lives”. Cats living in English speaking countries have nine lives. Everyone knows this; it’s ancient wisdom passed down since time immemorial. What’s with the seven lives in Mexico? Is depreciation involved? A peso isn’t worth as much as a dollar and the dollar goes way further in Mexico than in the North. Is it just the exchange rate or what? It’s common knowledge curiosity killed the cat but why hasn’t our government told us crossing the border has the same effect. If you own a cat, ask yourself, “Do I feel lucky?” Well, do you? Think long and hard about it. Do you want to risk giving up two of Fluffy’s lives by taking her to a Spanish speaking country? In the meantime, contact your local government representatives and pressure them into demanding the Mexican government pass legislation giving cats back their two stolen lives. This is just the tip of the iceberg. What else is our government covering up? NOTE: I’m not picking on Mexico. In other parts of the world there are some nasty, repressive regimes where cats only get six lives. I’m just saying–check with your embassy before leaving home. First published in Mazatlán’s Pacific Pearl V26, #3, November, 2018. Hahahaaaa! Best blog yet! I can’t say anymore to add to this.